Very light wear. Inside pages are nice and clean. 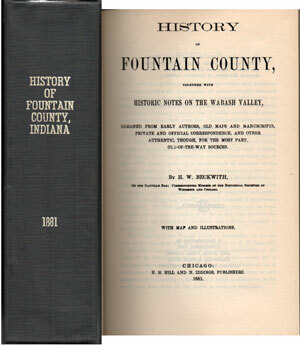 Loaded with history starting from the earliest settlement of Fountain County, Indiana up to 1881; also includes a 224 history of Montgomery County, Indiana by P. S. Kennedy.